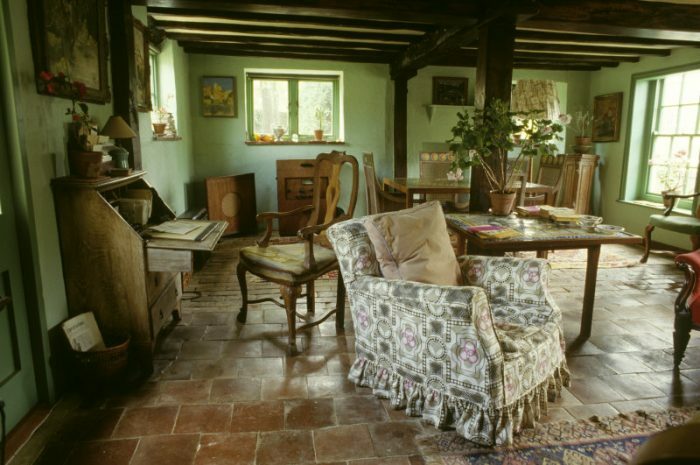 The Sitting Room at Monk's House showing the green paint liked by Virginia Woolf. Paul ‘scruffy’ Martin looks around the house of Adeline Virginia Woolf (25th January 1882 – 28th March 1941) who was an English author, essayist, publisher, and writer of short stories, regarded as one of the foremost modernist literary figures of the twentieth century. During the interwar period, Woolf was a significant figure in London literary society and a member of the Bloomsbury Group. Her most famous works include the novels Mrs. Dalloway (1925), To the Lighthouse (1927) and Orlando (1928), and the book-length essay A Room of One’s Own (1929), with its famous dictum, “A woman must have money and a room of her own if she is to write fiction.” On 28 March 1941, Woolf put on her overcoat, filled its pockets with stones, and walked into the River Ouse near her home and drowned. Next articleVIDEO: How To Make A Chocolate Book!